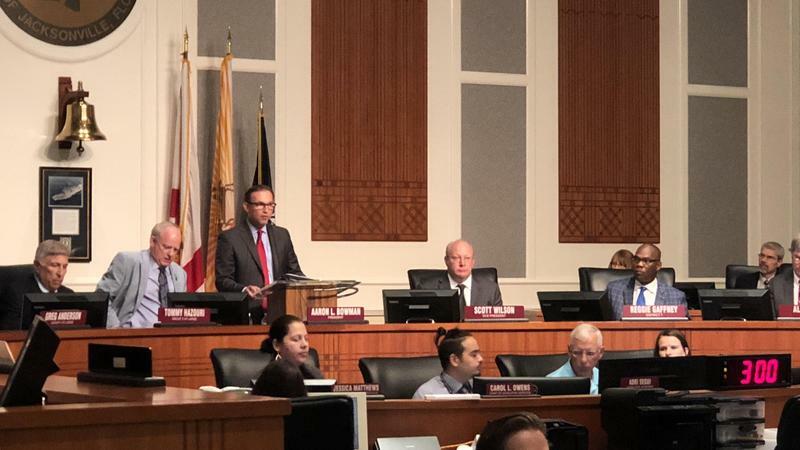 Jacksonville City Council members voted unanimously Tuesday night to approve Mayor Lenny Curry’s $1.3 billion general fund budget for the 2018-19 fiscal year. 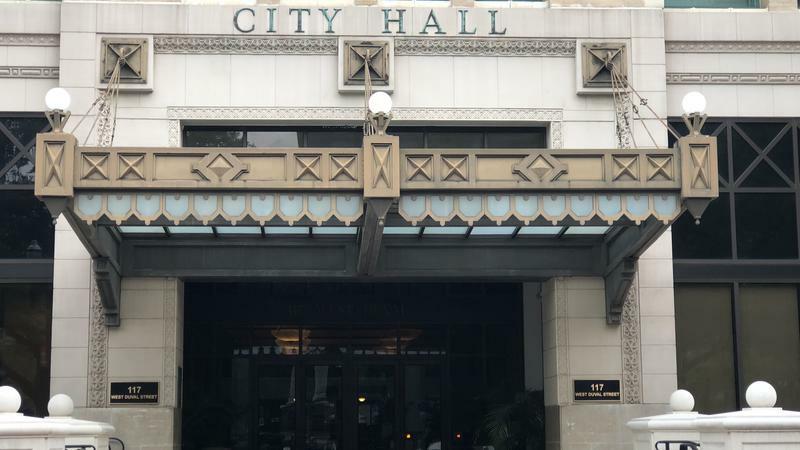 Our Jacksonville Daily Record partner reports Council members adopted eight budget-related ordinances and resolutions Tuesday. The bills set millage rates, departmental expenditures, funding for the next year’s Capital Improvement Program, debt payments and set other fiduciary policy. Council members in May approved other budget bills that adopt special spending districts and approved the Duval County Property Appraiser’s budget. “I thank City Council for their approval of the budget,” Curry said in a statement. “Together we have produced four budgets that demonstrate a commitment to public safety, supporting kids and families, investing in infrastructure, and economic development leading to job creation. The budget includes $2.6 billion for city operations, although the $1.3 billion general fund budget is where most of the city’s departmental spending occurs. The millage rate remains at 11.4419 for most of Duval County. The three Beaches cities and the town of Baldwin also will continue to have a millage rate of 8.1512. The budget is an increase of about 3 percent year-over-year and is Curry’s largest since taking office in 2015. Like his previous three budgets, Curry increased spending on countywide infrastructure projects with a $161 million Capital Improvement Program. He also boosted the budgets of the Jacksonville Sheriff’s Office, Public Works and Jacksonville Fire & Rescue Department. The biggest increase is for the JSO. Its $439 million budget is up $30 million. At $41.1 million, the Kids Hope Alliance will receive about 10 percent more than it did during its initial year to provide children’s services for the city. The Jacksonville Fire and Rescue Department’s budget is $234 million, a $17 million increase. The public library, public works, planning and development and parks and recreation departments all received larger budgets. The city is setting aside $12 million for pension reform reserves along with other contingencies for a total of $18.5 million. About $50 million is allocated to paying down principal and interest on debt. The city also is moving $2.5 million to the Downtown Investment Authority Downtown Economic Fund as the administration continues to recruit new projects and development in the urban core. The Downtown Investment Authority is getting two additional employees to keep up with an increased workload. Much of the $161 million earmarked for capital improvement projects are focused on Downtown and general infrastructure needs. That includes $25 million to demolish elevated roadways connected to the Hart Bridge, which lead traffic in and out of the urban core. The project includes reconfiguring Gator Bowl Boulevard. The city has a $12.5 million commitment from the state of Florida and intends to match that funding. 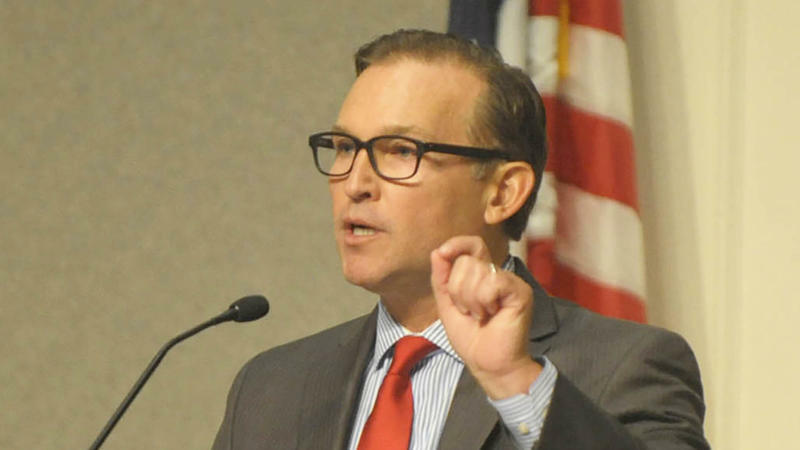 Other priorities are $25 million for the Jacksonville Zoo and Gardens over the next five years; $120 million over six years to make improvements to UF Health Jacksonville, including $15 million in 2019; and up to $60.3 million over four years to clean up and improve McCoys Creek and the Emerald Necklace park system. Among the recurring projects are $12 million for road resurfacing, about $10 million for new and improved sidewalks and curbs and $4 million for citywide ash site remediation. District spending will increase 51 percent from the 2017-18 fiscal year, when the city focused about half of the CIP budget on countywide projects. About $65.2 million is allocated to District 7, which comprises Downtown, Springfield and a large area of North Jacksonville. The five-year CIP is now estimated at $610 million. Like in most years, the budget includes additional spending priorities, called enhancements, which are funded with money found during budget hearings over the summer by the council Finance Committee. This year, 15 enhancements totaling about $1.4 million will provide grants, additional funding for some city departments, new positions and other one-time costs. The largest line items total $360,000 for the Kids Hope Alliance to establish a “Stop the Violence” grant program. The alliance will use the money to give out $10,000 microgrants to smaller, community-based agencies that work with troubled youth and establish educational programs in the city. Eight floor amendments also were introduced Tuesday night, mostly to correct technical and language errors. All were budget neutral, except for one introduced by District 5 representative Lori Boyer. She asked for $46,900 to upgrade Council Chambers at City Hall. Mayor Lenny Curry has until Sept. 30 to sign the bills into law, veto them or allow them to become law without his signature. Jacksonville’s most impoverished neighborhoods could receive infrastructure improvements if Mayor Lenny Curry’s latest budget is approved in September.